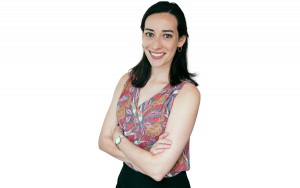 (Bronx, New York) — Marianne Kraft moves through the hallways of the St. Athanasius school with an easy vigor, even after an hour climbing up and down the stairs. On a cold January morning, the 71-year-old principal is excited to usher a visitor from one bright, orderly classroom to another, each filled with attentive students. A second-grade class — girls in plaid jumpers, boys in slacks with shirts neatly tucked in — are studying the War of 1812. Down the hall, sixth-graders are immersed in adding and subtracting fractions. Kraft beckons through the door to a modest auditorium, where students gather to start each day with a “power hour” of stories, songs or teacher shout-outs to do-gooder students. The library, which houses some 8,000 volumes, is a particular point of pride for Kraft, as are the colorful bulletin board displays lining the walls. 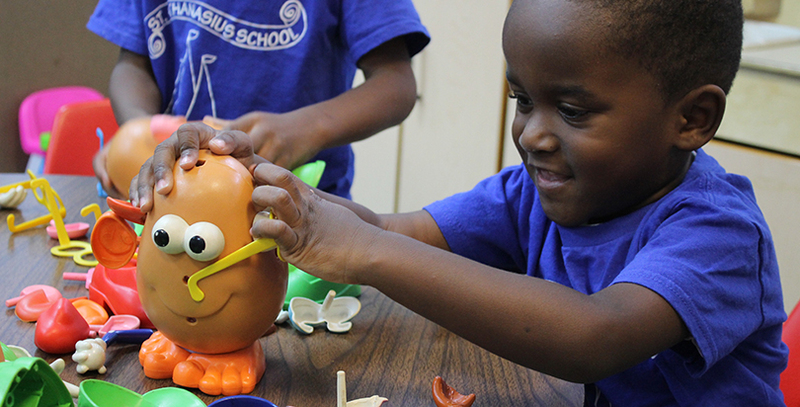 St. Athanasius, located in the Hunts Point neighborhood of the South Bronx, one of New York City’s poorest neighborhoods, has about 291 students in pre-kindergarten through eighth grade. The school looked and felt like a different place a few years ago. With enrollment and financial support plummeting, Catholic schools were closing throughout the city and the state. Kraft, a former nun who had seen the school through the worst days of crippling student poverty, drugs and street gangs — its location on Southern Boulevard put it at the epicenter of the borough’s 1970s’ arson epidemic — was sure that hers would be next to close. She didn’t know what to tell the families of her 300 pupils. Instead, St. Athanasius and five other struggling Catholic schools were thrown a lifeline. In 2013, they became part of a school turnaround project created through an agreement between the New York Archdiocese and an independent nonprofit group. The Partnership for Inner-City Education, as the network is called, runs six schools throughout the Bronx and Harlem: Immaculate Conception, Mt. Carmel-Holy Rosary, Our Lady Queen of Angels, Sacred Heart, St. Mark the Evangelist and St. Athanasius. A superintendent and Board of Directors oversees finances, academics and building operations under an 11-year contract while the Archdiocese continues to own and govern the schools. Since it entered the schools three years ago, the Partnership has invested $10 million in student scholarships, building renovations, a math and English curriculum overhaul and staff training. The mood these days when Kraft walks through the halls, poking her head into classrooms, is noticeably more positive. She didn’t do much of the daily checking in on students and teachers before the Partnership came in and hired operations managers for each school. She was too crazed making sure the boiler got fixed and payroll was set, not to mention scrounging together fundraising dollars. This shift hasn’t taken place without some serious growing pains. The teachers, who are unionized, were wary that the Partnership was there to transform them into a charter school. Some worried that the qualities that make urban Catholic schools safe havens for so many poor, immigrant children — the high value placed on service, humility and building good character, for example — would be squeezed out in favor of academic perfection. There were also questions from staff and parents about what the network was and how it would look. 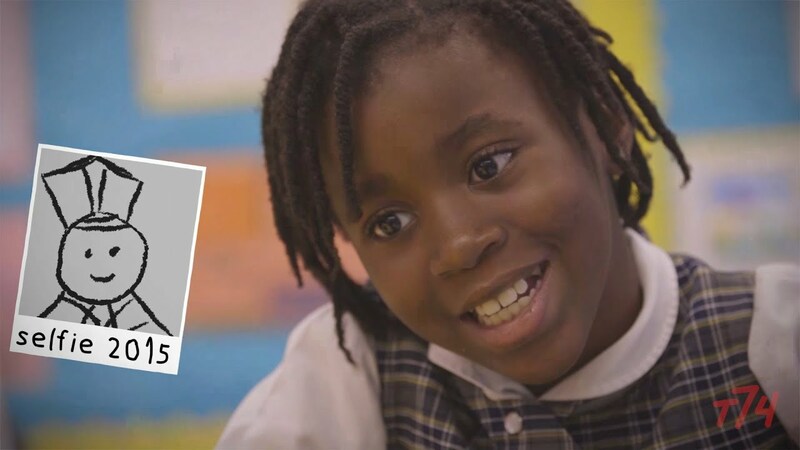 Though the Partnership shares some features with Catholic school turnaround projects in Camden, N.J., and Philadelphia, it was the first of those efforts to actually get up and running. Its operational independence from the Archdiocese also makes it different, officials said. “As a person who knew financially this would be good, I was happy. Skeptical just because … it was an unclear model. It was hard to say it’s going to look like that, or that,” said Francine Rogers, a fifth-grade teacher who has spent most of her career at St. Athanasius. And certainly, concepts borrowed from the charter model, such as data tracking and interim student assessments, were among the first initiatives Superintendent and Chief Academic Officer Kathleen Porter-Magee introduced when she joined in August 2014. At the same time, Partnership leaders said one of the major realizations they had when they started meeting with staff was that preserving and championing the schools’ Catholic identity had to be held sacred — or it was not going to work. Porter-Magee said her experience in the charter sector, at Achievement First in New York City, and in Catholic schools, which she attended and later taught in, both influence the vision for the Partnership. “We are drawing lessons from (charters) but we are not becoming them,” she said. 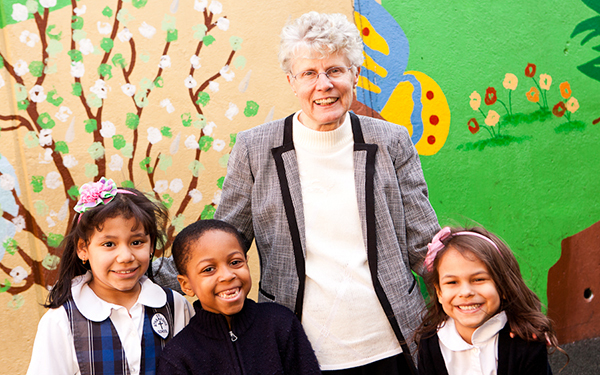 Porter-Magee and other network leaders view the Partnership as contributing to a burgeoning renaissance in urban Catholic schools after decades of decline. Two-and-a-half school years in, there are signs of progress throughout the network, and lots of room left to grow, officials say. The 2,100 students made year-over-year gains on New York state ELA and math tests in 2014-15, the year the new curriculum was introduced. They also outperformed the surrounding public schools in their respective neighborhoods. Compared to the average proficiency scores for all city public schools, Partnership students performed a few points below for ELA and math. Their 2014-15 scores were on par with charter schools like KIPP and Achievement First, according to data provided by the network. Teachers who may have once cringed at how poorly their students performed on a test, then stuffed it in a drawer and never looked back, are now proudly reporting incremental gains from the weekly quiz to their supervisors, said Jessica Madio, 27, a sixth-grade math teacher and academic dean. Having the same Common Core-aligned curriculum in all schools and the resources to help teachers use it correctly makes a big difference, she said. The staff’s enthusiastic buy-in after the initial skepticism faded has been instrumental to the network’s success getting off the ground, Porter-Magee said. Jose Montanez, a 1985 graduate of St. Athanasius, said he and his wife decided to send their son Bradley to the school starting with pre-kindergarten, despite the long commute from their home in the north Bronx. He's in second-grade now. They like the tight-knit feeling and the high standards for discipline, personal conduct and academics, as well as the arts and music programs, Montanez said. Montanez, who volunteers on the parent association, said he knows the Partnership’s funding infusion has an expiration date. But he believes the recent progress should help the school remain viable in the future. Besides, it’s already survived the toughest years, he said. 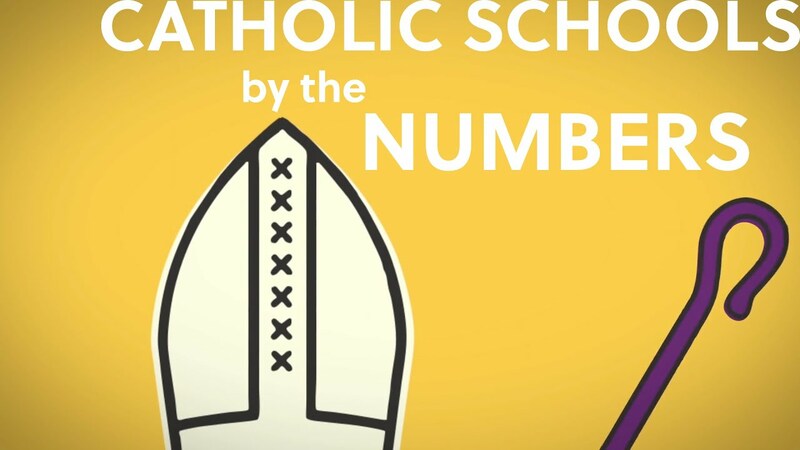 Faith in the future of Catholic education got a huge boost last fall, when Pope Francis made his debut in New York. By coincidence, or divine intervention, he decided to visit one of the Partnership schools, Our Lady Queen of Angels in Harlem. Figuring out how to define the Partnership’s intentions in the context of the charter-inspired elements — while keeping the schools’ Catholic identity front and center — has been a bit of a public relations minefield at times. But Porter-Magee and her staff seem to have found a lighthearted way to make that distinction, at least when it comes to branding. “Don’t call it a comeback/we’ve been here for years …” — a slightly modified version of the song’s opening lyrics — is emblazoned on sweatshirts the staff took home from a recent professional development retreat. Each Partnership school’s inaugural year — the oldest, Immaculate Conception, opened in 1854 — is listed in bold. “The idea is that we believe that there has been real rich, interesting and important work happening in urban Catholic schools for generations and we are excited to be part of a renaissance but we also want to honor the tradition and commitment that our schools have shown to their communities for years,” Porter-Magee said. An earlier version of this article incorrectly stated that the Partnership has spent $200 million on the schools since their opening three years ago. While the organizations that formed the Partnership have invested $200 million in a wide array of projects, the amount of money specifically allocated to the network of schools is $10 million.